• 2018. Sep. 7. 2018. Sep. 10. Many times the highlight of a 9-to-5 workday is the lunch break. For one hour, you can forget about deadlines and meetings, and just kick back with your co-workers while consuming your meal. When it comes to the ideal lunch, what everyone is looking for are a low price, a great taste, and lot of nutrition. You could say that the expectations are high, but thankfully there are loads of places in Budapest that meet the aforementioned criteria. 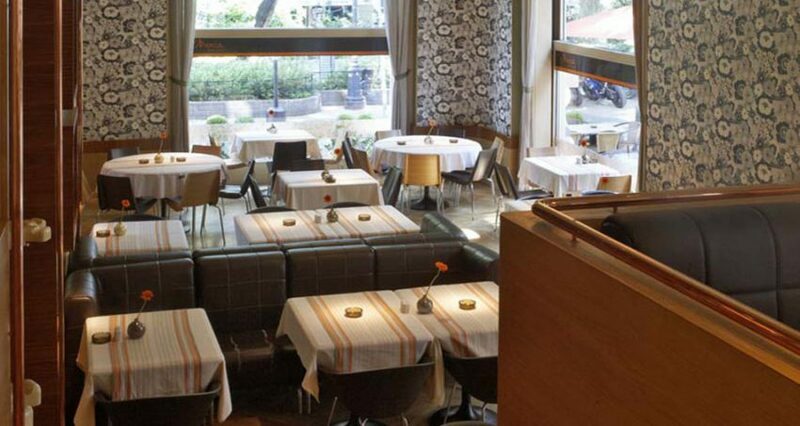 Without further ado, let’s get down to business and see the city’s best business lunch deals! 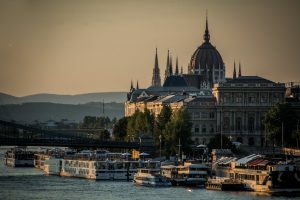 What better way to enjoy your well-deserved lunch break than with River Danube and Buda Castle providing you with the picturesque backdrop? Taking a seat on the gourmet terrace of peppers! Mediterranean Grill is always a great idea, regardless of whether only have time for a refreshing lemonade, a quick bite before heading back to work, or if you’re looking for the perfect rendezvous spot. Two- (3,300 HUF) and three-course (4,200 HUF) lunch specials are available every weekday from noon to 3 PM, letting you pick from four appetizers, four mains and three desserts. 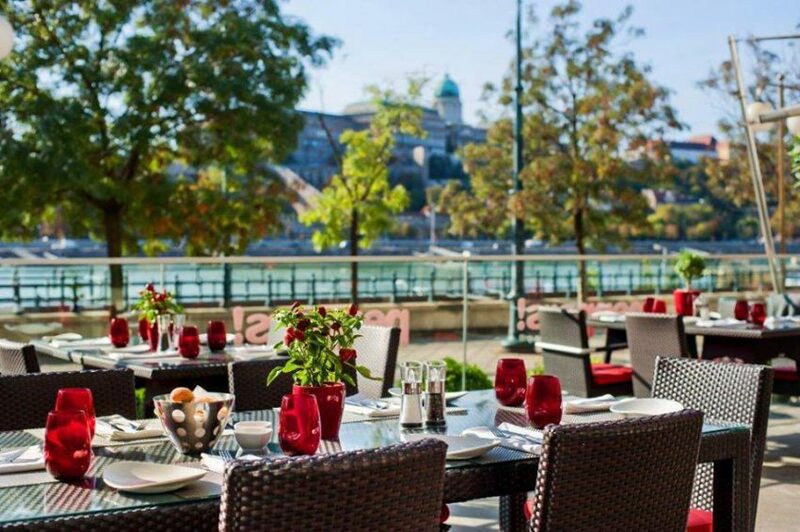 Situated on the ground floor of Budapest Marriott Hotel, with its terrace stretching along the unmatched Danube Promenade, peppers! 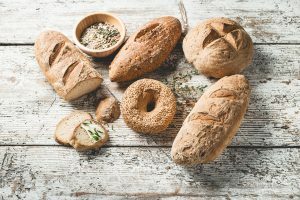 is also famous for its first-rate Sunday brunch offer, which presents guests with a mouth-watering assortment of Hungarian and Mediterranean dishes (all of them freshly prepared in the restaurant’s show kitchen) for the meagre sum of 10,500 HUF per person. 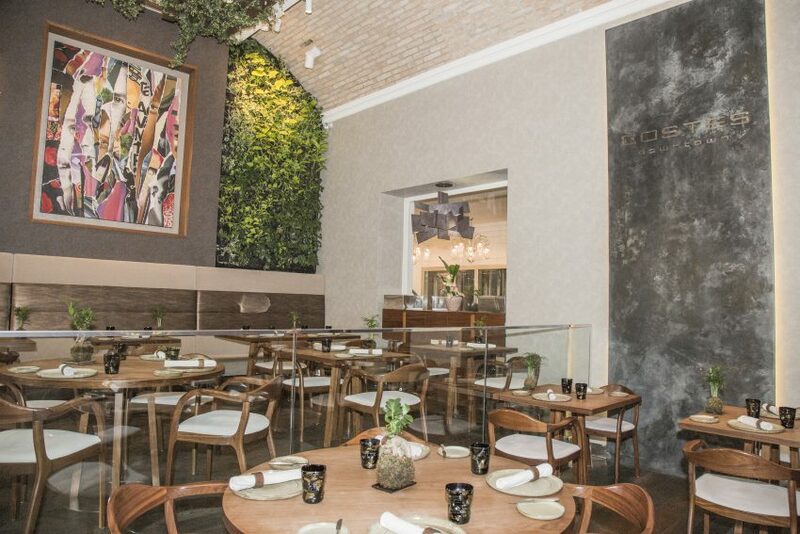 Costes Downtown, the sister restaurant of Costes (the first Michelin-star-awarded restaurant in Hungary) was opened in June 2015 and was awarded with its own Michelin star already in March 2016. 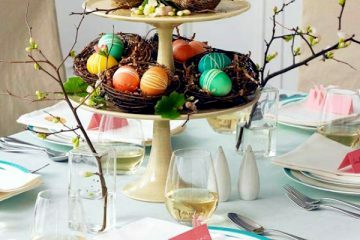 The ambience is more laid back, bistro-style with natural elements used both as furniture and décor. The restaurant, located in the elegant Prestige Hotel, is accessible via a private street entrance, is open every day of the week (6:30am to midnight), offering breakfast, lunch, and dinner. The daily operation is run by chef Tiago Sabarigo and standards are overseen by executive chef Miguel Vieira. The dishes are prepared in an open kitchen, next to which is a chef’s table for serious culinary fans seeking a unique dining experience. 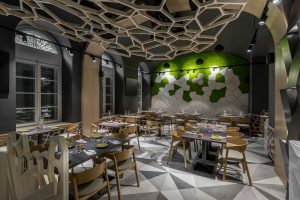 Housed inside Kempinski Hotel Corvinus, Nobu Budapest is the first Central European member of the avant-garde Japanese restaurant chain started by chef Nobu Matsuhisa and actor Robert De Niro. Head chef Gábor Schreiner is in charge of presenting Japanese-Peruvian flavours in Nobu-style, including mind-blowing seafood creations such as fresh zucchini flower tempura filled with ikura, creamy wasabi and fresh seaweed alongside Nobu’s world-famous signature dishes. 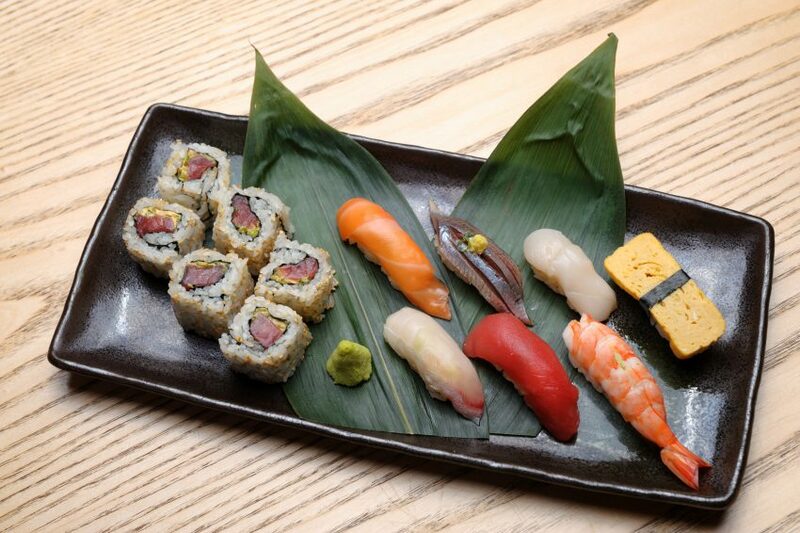 Visit Nobu at lunchtime (between noon and 3.30 PM) on weekdays, and try the restaurant’s light and stylish business lunch. The 6,000 HUF meal includes a bowl of miso soup, the sushi chef’s special daily sushi selection and a scoop of ice cream. For more information, check out Nobu Budapest’s website. 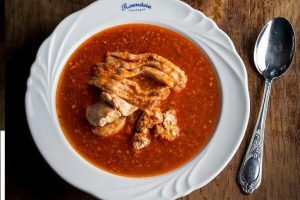 The closest way you can experience the privileges of being rich without winning the lottery is to spend a meal at one of the 3 downtown Trófea Grill restaurants, where you can stuff your belly with flavourful dishes and great drinks without having to keep one eye on the price list. Prepared from high-quality ingredients, the fixed-price offers available at Trófea include foie de gras, steaks, freshly made grilled dishes, prawns and pizzas, coupled with an unlimited amount of soft drinks, beer, wine and sparkling wine. 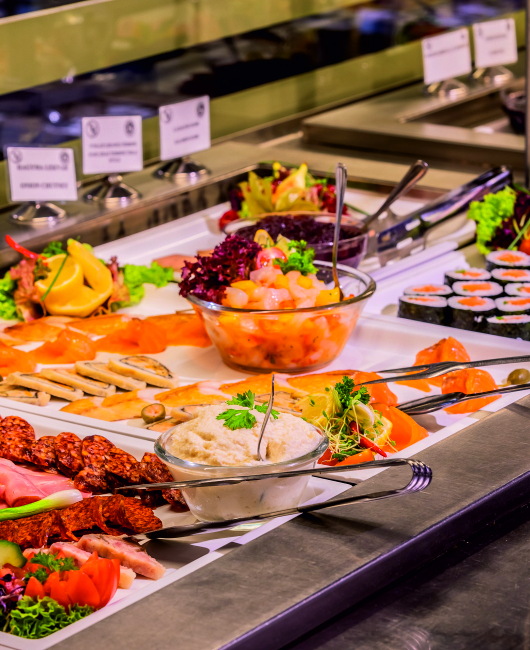 As an expert in lavish buffet style lunches and dinners, the staff of Trófea ensures that during your stay at their elegantly furnished venues, all you’ll have to focus on are the tasty bites and the good company of your friends and colleagues. Chinatown’s Wan Hao is known for its signature dim sum and awesome Cantonese meals including handmade Bao and Jiao served in bamboo baskets, and à la carte wok stir-fry. 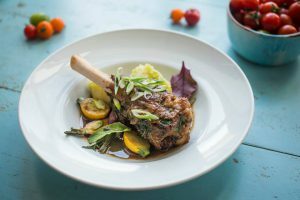 The restaurant offers authentic Chinese BBQ during the warmer months, awaiting lovers of traditional and oriental flavours under a huge marquee. It is the best place for a fast yet delicate business lunch; try the mouth-watering dim sum specialties, the palatable Cantonese fried noodle with beef, and the donburi (Japanese rice bowl), which you can order with a number of toppings. 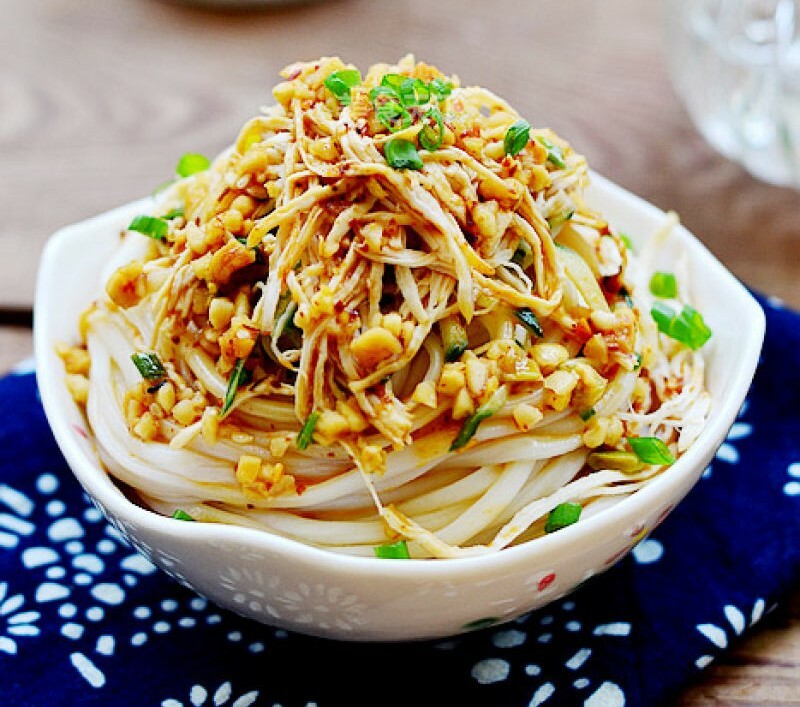 In case you’d go for something lighter, get the noodle salad with shredded chicken and bean sprouts. Keep in mind: Funzine readers are entitled to a 10% discount off their food consumption! One part coffee house, one part restaurant, this self-styled canteen provides guests with a sophisticated take on 1960s era Budapest coffee bars in a UNESCO World Heritage environment, adjacent to Andrássy avenue. The stylish, spacious, and contemporary interiors welcome hard working men and women for a tasty break with inexpensive (the two-course menu costs 1,390 HUF) daily lunch offers focusing on Hungarian flavours, as well as an á la carte menu comprised of international treats, such as cold cucumber soup with yogurt, salmon stuffed with spinach and ricotta, and corn pudding with cinnamon-rum plum. 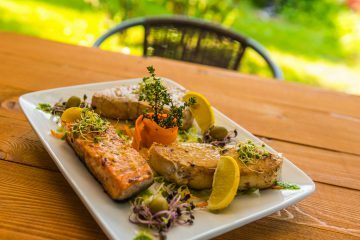 Found at the foot of Castle Hill next to Széll Kálmán tér, the cuisine of Arany Kaviár centres around Hungarian fish dishes, the classics of traditional Russian gastronomy, and its internationally renowned caviar specialties, sourced from Arany Kaviár’s very own fish farm. 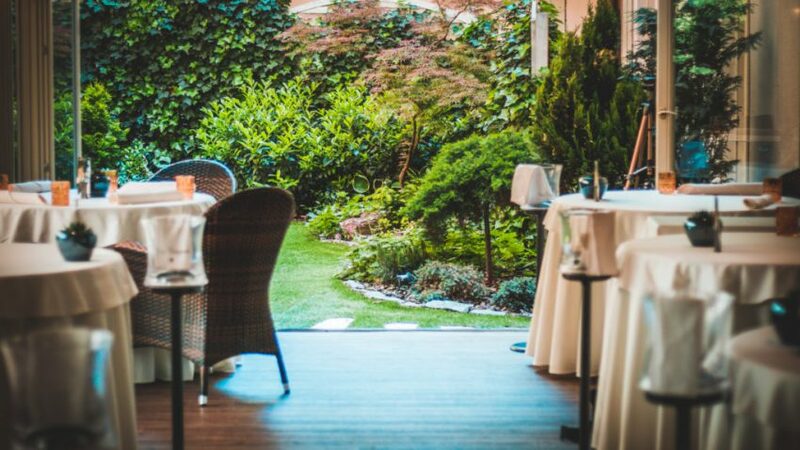 Founded in 1990, this luxurious place exhales the atmosphere of Russia’s tsarist period, while its lovely garden can be the perfect venue for a romantic dinner. Arany Kaviár’s filling and gorgeous lunchtime bistro menu (available from Tuesday to Friday) includes three courses of your choice (you can pick from grilled beef carpaccio with tomato, cold dill soup with herring and goat cheese, veal with kohlrabi and truffle mushroom, cod with zucchini and chanterelle, and cherry, elderflower and yuzu dessert), and will cost you 5,900 HUF.